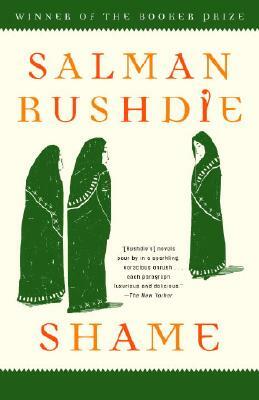 The novel that set the stage for his modern classic, The Satanic Verses, Shame is Salman Rushdie’s phantasmagoric epic of an unnamed country that is “not quite Pakistan.” In this dazzling tale of an ongoing duel between the families of two men–one a celebrated wager of war, the other a debauched lover of pleasure–Rushdie brilliantly portrays a world caught between honor and humiliation–“shamelessness, shame: the roots of violence.” Shame is an astonishing story that grows more timely by the day. Sir SALMAN RUSHDIE is the multi-award winning author of eleven previous novels--Luka and the Fire of Life, Grimus, Midnight's Children (which won the Booker Prize, 1981, and the Best of the Booker Prize, 2008), Shame,The Satanic Verses, Haroun and the Sea of Stories, The Moor's Last Sigh, The Ground Beneath Her Feet, Fury, Shalimar the Clown and The Enchantress of Florence--and one collection of short stories, East, West. He has also published three works of non-fiction: The Jaguar Smile, Imaginary Homelands: Essays and Criticism 1981-1991 and Step Across This Line, and coedited two anthologies, Mirrorwork and Best American Short Stories 2008. His memoir, Joseph Anton, published in 2012, became an internationally acclaimed bestseller. It was praised as "the finest memoir...in many a year" (The Washington Post). His books have been translated into over forty languages. He is a former president of American PEN.